Most amateur sports clubs have access to a free website through their association/league or state or national governing body. Usually in the form of an old style Content Management System that can be hard to customise beyond the addition of your club logo in a little box in a side column. They vary in features but most are based on old technology and restricted in the features and appearance. 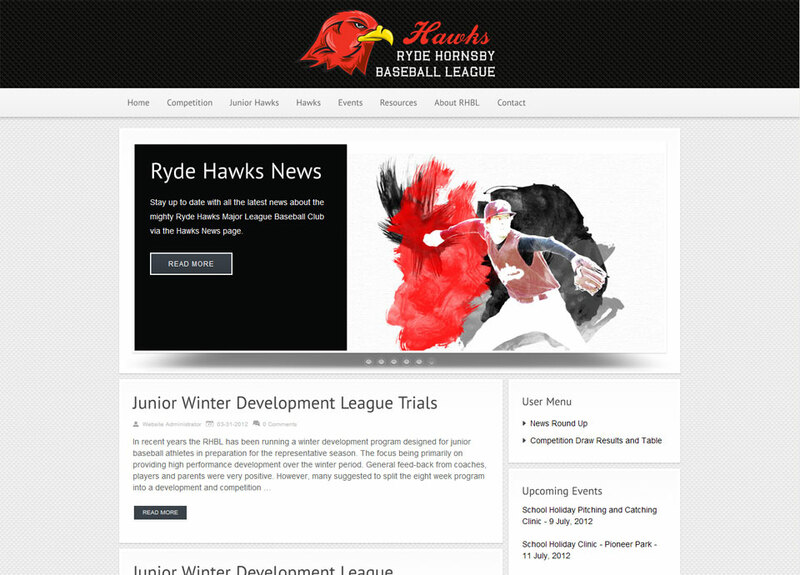 Your club can have its own attractive, highly functional website that looks and behaves the way you want. Your website is the online face of your club and quite often is the first impression of your club that prospective players and parents will get. Make sure that first impression is a good impression with a modern attractive website. A fully functional Content Management System based on WordPress will allow you to take full control of your site. 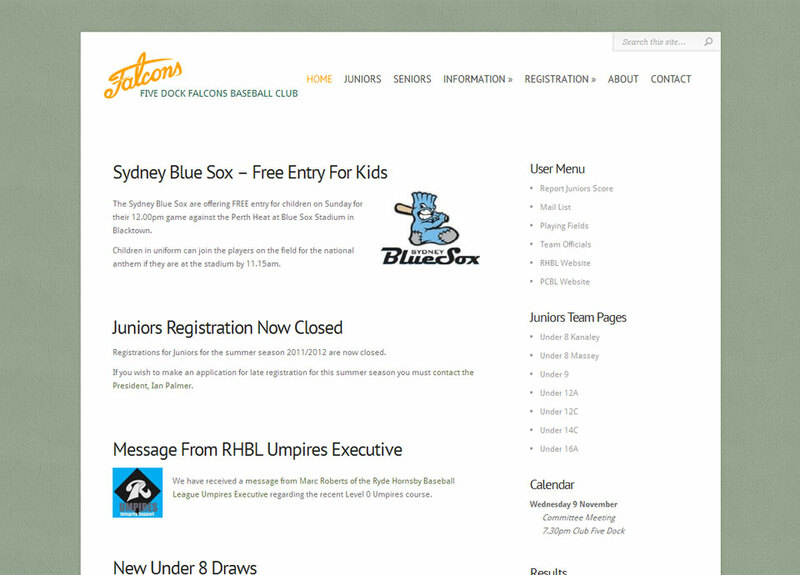 As examples of what can be done see the Five Dock Falcons Baseball Club and Leichhardt Saints Football Club sites below. My son played for both of them. 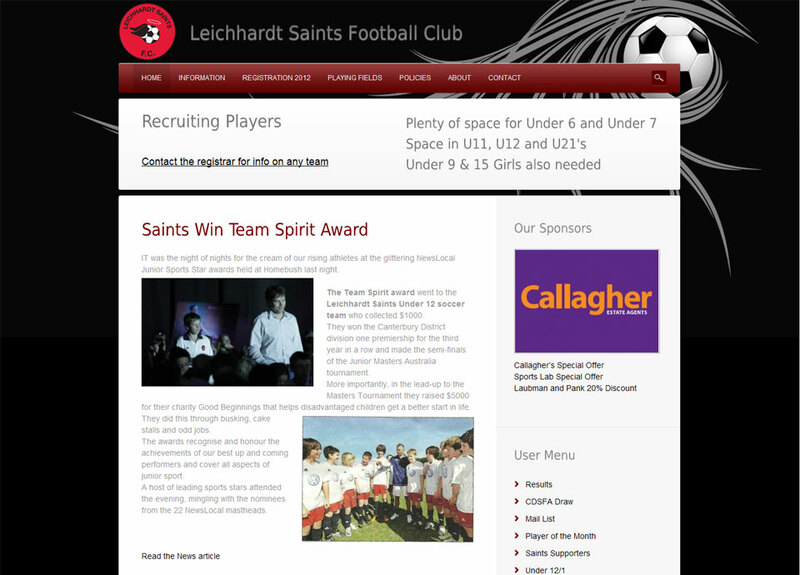 Leichhardt Saints FC believes in encouraging good sporting behavior, development of football skills, team play and the ability to handle success and failure through the enjoyment of football. Five Dock Falcons Baseball Club caters to players of all levels in all age groups from T-ball through to Seniors.